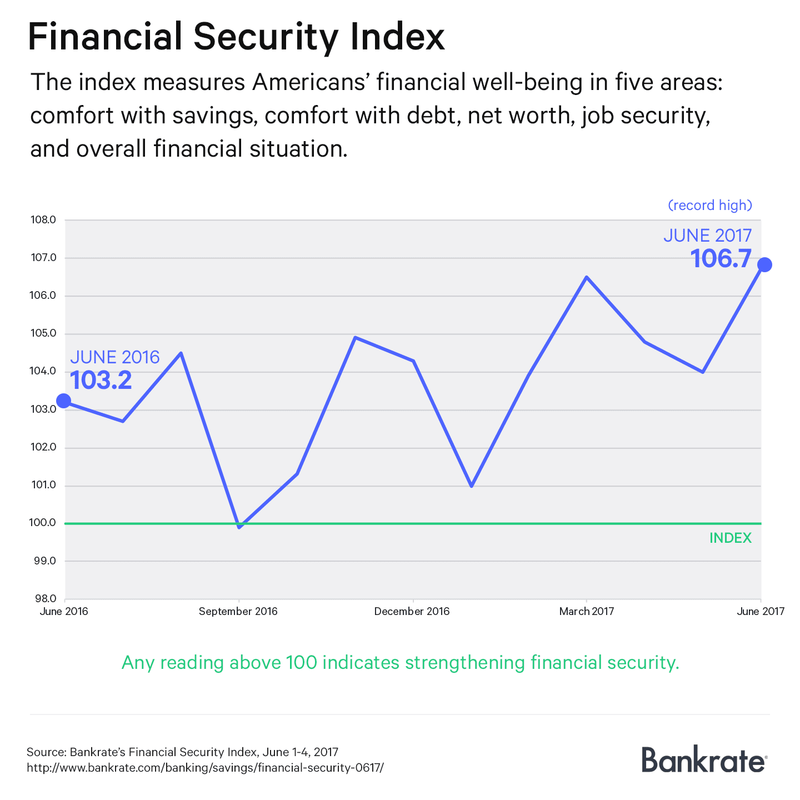 Americans’ general level of financial well-being has improved a lot recently, according to a new report from Bankrate. Specifically, Bankrate’s Financial Security Index jumped to 106.7 this month, an all-time high. The index is derived from surveyed U.S. adults’ reported levels of optimism about a handful of issues, including their job security, savings, debt load, net worth, and overall financial situation. All of those components have improved over the past year, with the net worth gauge notably climbing to its strongest reading ever. Moreover, there were three times as many surveyed Americans who said that their net worth has increased over the past twelve months than those who said it has decreased. That is not too surprising since we learned earlier this month that the government’s official measure of household net worth has climbed to a record level in 2017, helped by continued gains in both home values and the stock market. The report also revealed that as Americans’ level of financial confidence has risen, so too has their willingness to set money aside. 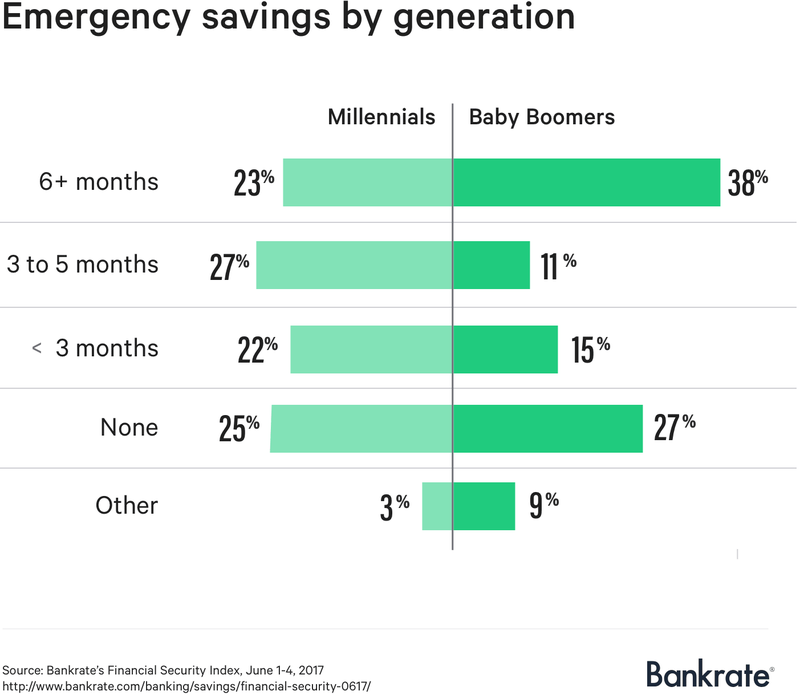 For example, only 24 percent of surveyed adults said that they currently have no money saved for a near-term emergency, such as a layoff or a huge medical bill. Although that figure implies that around one in four Americans have no savings whatsoever, it is still the best reading since Bankrate started this study in 2011. 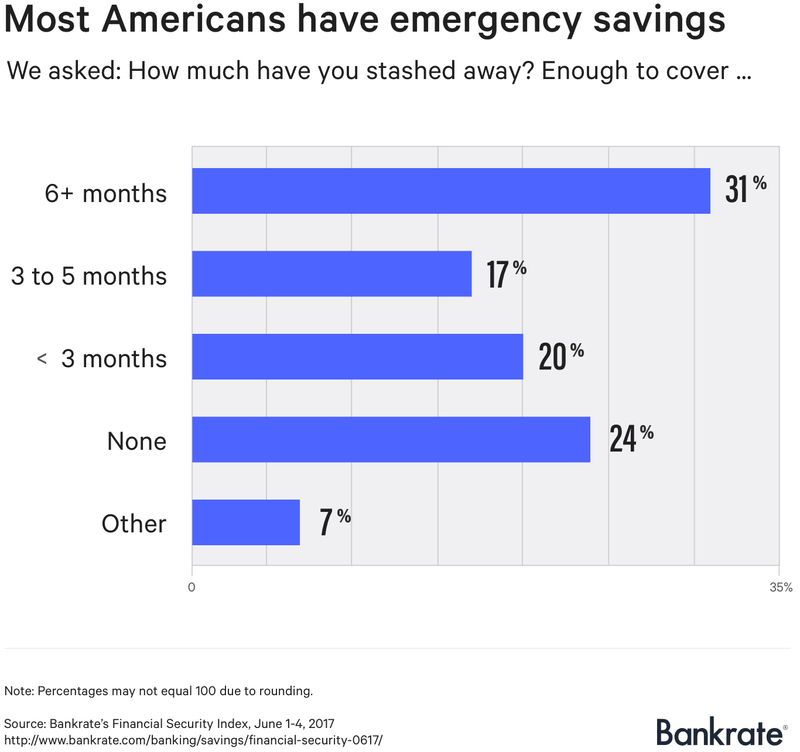 Further, almost a third (31 percent) of respondents said that they have an adequate savings cushion to cover at least six months’ worth of expenses, an all-time high for this survey.